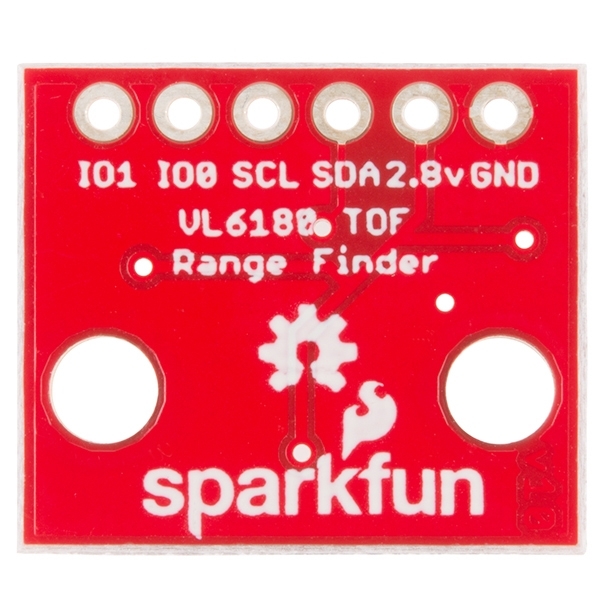 This is the SparkFun “Time-of-Flight” Range Finder, a breakout for the VL6180 distance sensor. 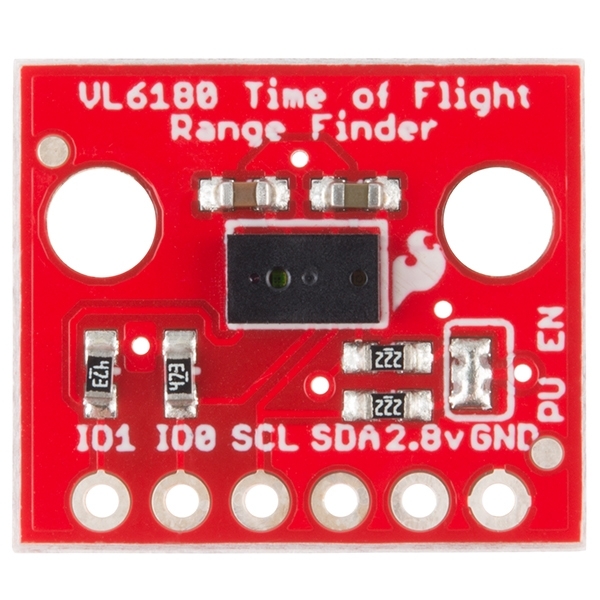 Unlike most distance sensors that rely reflected light intensity or reflected angles to determine range, the VL6180 uses a precise clock to measure the time it takes light to bounce back from a surface. This affords the ToF Range Finder and VL6180 a great benefit over other methods because it can be much more accurate and more immune to noise. Does this technology sound familiar? Well it should, it’s the same means cellphones use to detect when the caller is holding their phone to their ear. This breakout for the VL6180 is as simple as it gets. 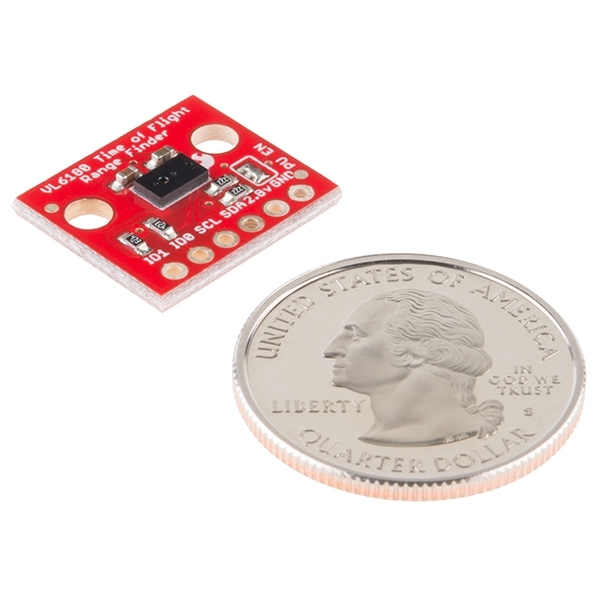 Only the required passives are populated to give you the smallest, most cost effective way to use multiple sensors in a project with an I2C interface. 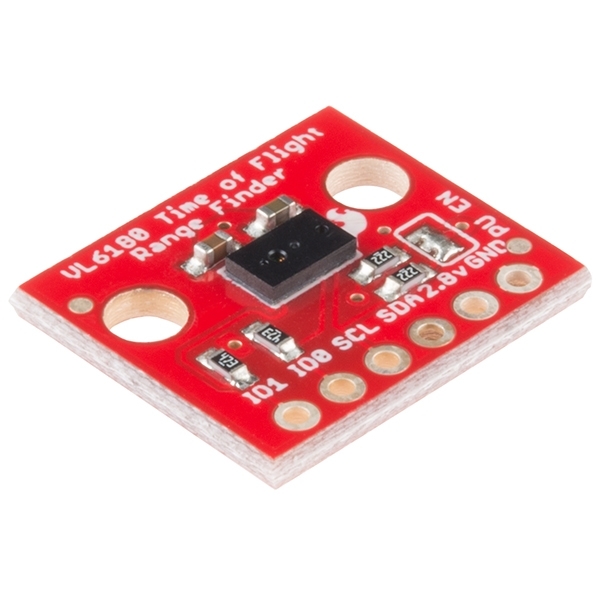 The VL6180 is actually a 3-in-1 package that combines an IR emitter, a range sensor, and an ambient light sensor together for you to easily use. We’ve broken out each pin that is required to use the VL6180, including: IO1, IO0, SCL, SDA, 2.8V, and GND. Please be sure to note, however, the ToF Range Finder Breakout only accepts 2.8V input and logic. You must provide a 2.8V voltage source and level shifting to 3.3V and 5V devices.